Edgy, polished and inventive, a political junkie and law graduate, Charlie Pickering is one of the most exciting names in Australian comedy. 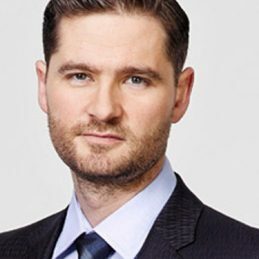 In 2015, ABC TV premiered The Weekly with Charlie Pickering an original format which Charlie helped develop and this critically acclaimed prime time show will return for a fifth season in 2019. As a stand-up comedian, Charlie has earned many an accolade for his live work over the years, including nominations for the Perrier Best Newcomer Award in Edinburgh, the Barry Award for Most Outstanding Show at the Melbourne International Comedy Festival, as well as being invited to perform at the prestigious Just for Laughs Festival in Montreal and Sydney in 2016. He’s been nominated for a Logie and in 2011 picked up Media Personality of the Year in the GQ Men of the Year Awards. And just announced for the last quarter of 2018, Charlie will be hosting a new format for the ABC Tomorrow Tonight alongside Annabel Crabb where each episode, Charlie will introduce Annabel and a panel of experts and comedians to a story that would have us all glued to the news – an event that hasn’t happened yet but could.